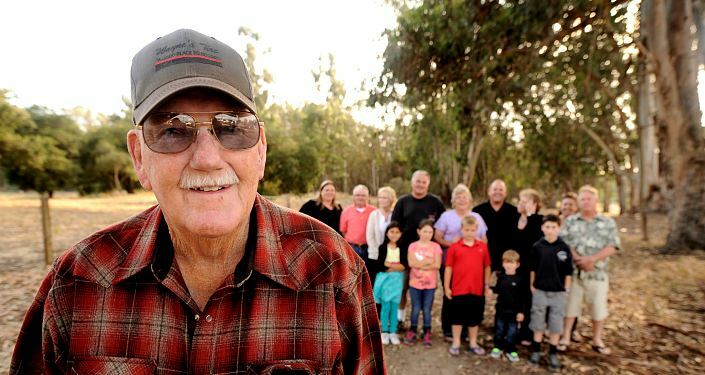 It was July 13, 2013, and Jerry Watson was at Santa Maria’s Annual Pioneer Picnic, enjoying the day with longtime friends–until he collapsed. Jerry’s heart function had ceased abruptly and without warning as he was experiencing a massive heart attack caused by a full blockage, known as a STEMI heart attack. In the coming hours and days Jerry’s life would hang in the balance between life and death. It would take a total of seven defibrillation shocks, emergency cardiac catheterization intervention and a medically-induced coma for Jerry to be brought back to life. Paramedics transported Jerry to Marian Regional Medical Center’s Emergency Department and while en route Jerry coded three times. As part of the STEMI protocol, a regional heart attack response program and streamlined process proven to improve heart attack outcomes, Marian physicians, nurses and medical professionals were immediately informed of Jerry’s serious condition and were prepared for his arrival.Once in the catheterization laboratory, Jerry coded not only once, but a total of four more times while cardiologist Samir Bhatt, M.D., and cath lab staff repaired the blocked artery to Jerry’s heart.